Q: What is the process for application of a window film? Our window films are applied on the inside of your existing windows using a soapy water solution. Q: Should I be concerned about chemical fumes and odors? No! Our window films are applied using only dish soap or baby shampoo! Seriously! There is no need to leave your home or ventilate it during film application. Q: Can I clean my windows after film is applied? We suggest that you allow the film to dry for about two weeks before cleaning your windows. You can use any common window solution (ammonia based or other) with a soft cloth or paper towel. 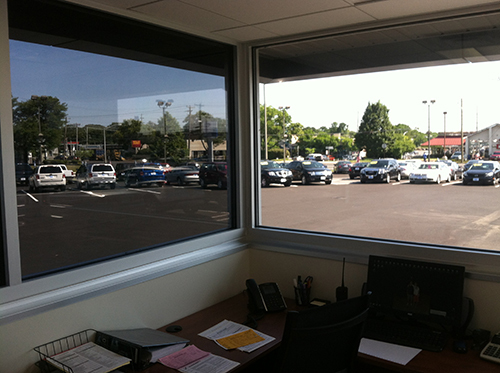 Q: How often should I replace my window film? Your window film will come complete with a manufactures LIFETIME WARRANTY, and under optimal conditions you should never need to replace the film, however average life expectancy is 25-30 years. Q: How do I remove my window film? Window film can be removed at any time with no damage to your existing windows, however you should consult an expert installer and understand that once removed, the film can never be reused. Q: Will window fill stop my furniture from fading? It will slow the process of UV damage, but nothing can eliminate all fading. Window tinting is said to extend the life of home furnishings by as much as five times based on normal wear.